Speedy Moonshine 4WD wheel offers the enthusiast a design which is an absolute standout in terms of rugged good looks and uncluttered clean styling. Speedy Moonshine 4WD wheel offers the enthusiast a design which is an absolute standout in terms of rugged good looks and uncluttered clean styling. The purposeful satin black finish accentuates both the depth of the design and the extra wide outer wheel lip. 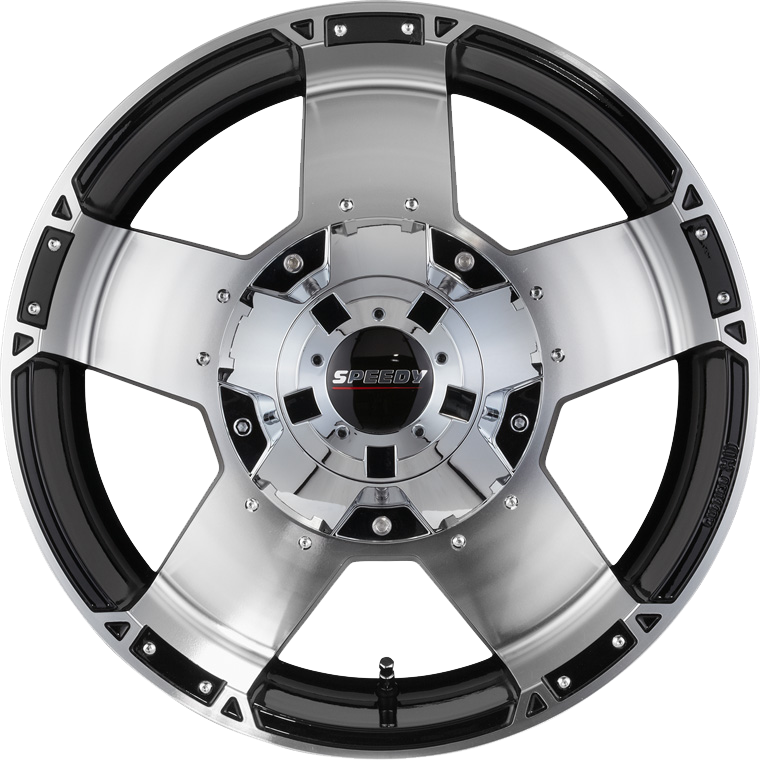 Both features when combined with subtle styling cues, such as the round head rivet accents and casting pockets on the outer rim lip, provide a tough no nonsense 4WD inspired enhancement, to a range of popular late model offroad and light commercial vehicles.